titude of plantlets that are rapidly grown on in test tubes until they are strong enough to survive as individuals. 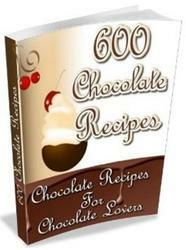 There are several advantages for the professional in that one plant can produce huge numbers of young in a short time. It also is a promising and successful way to reproduce sterile hybrids, cultivars, and other ferns that are difficult to impossible to raise from spores. It has not yet developed into a practical system for the homeowner, however, as the equipment required is very specialized and the antiseptic conditions are extremely difficult to duplicate. 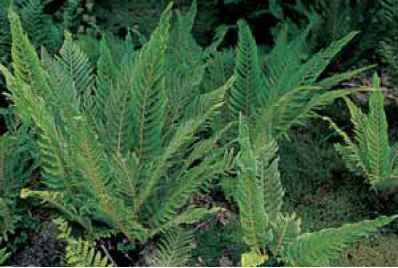 Curiosity and lack of availability led to my first spore venture, back in the 1960s, with a sowing of the then-uncommon Dryopteris erythrosora. Fortuitously I ended up with some three hundred plants and have been immersed in the love of ferns, their cultivation, and propagation ever since. I wish all would-be growers the same good fortune. 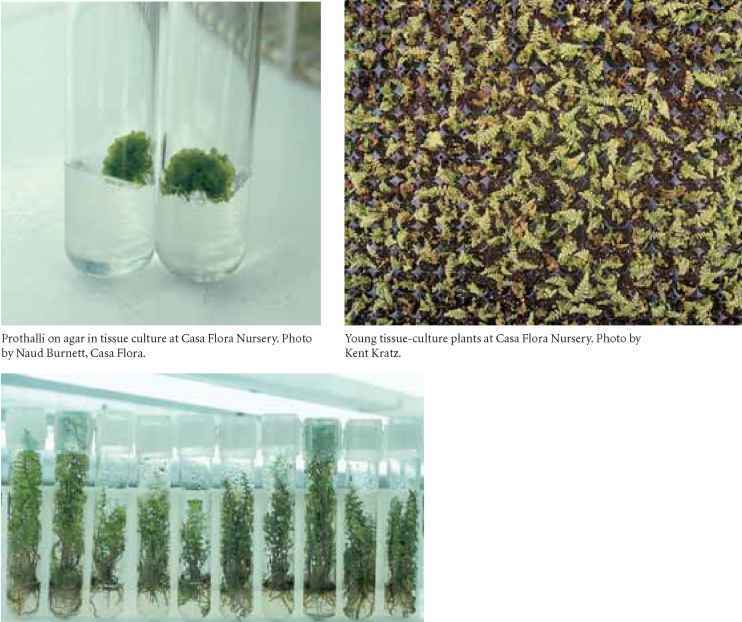 Evaluation of clones in tissue culture at Casa Flora Nursery. Photo by Naud Burnett, Casa Flora.